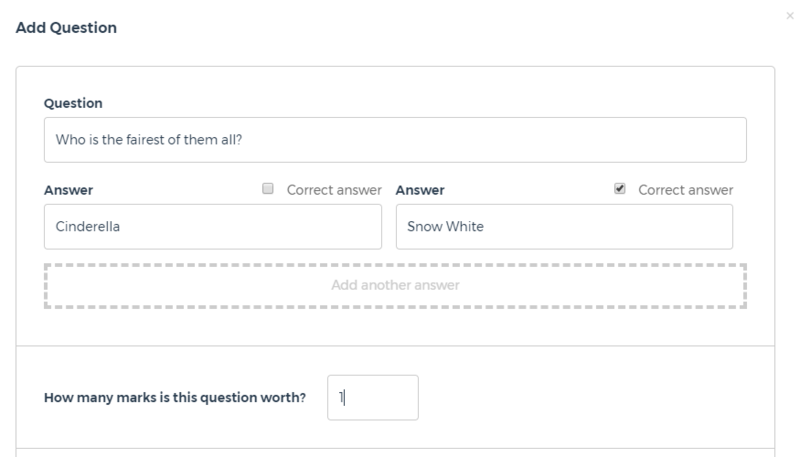 You can create Assessments by adding it to a course or a lesson. 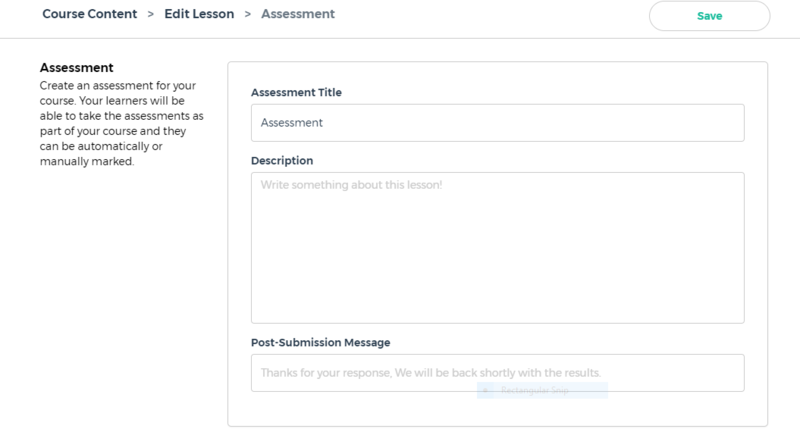 Edit a Lesson and click on the Assessment content.  Give a bit of information about your Assessment as well as the Post-Submission message by completing the fields. For the Multiple Choice Question, don't forget to tick the correct answer.